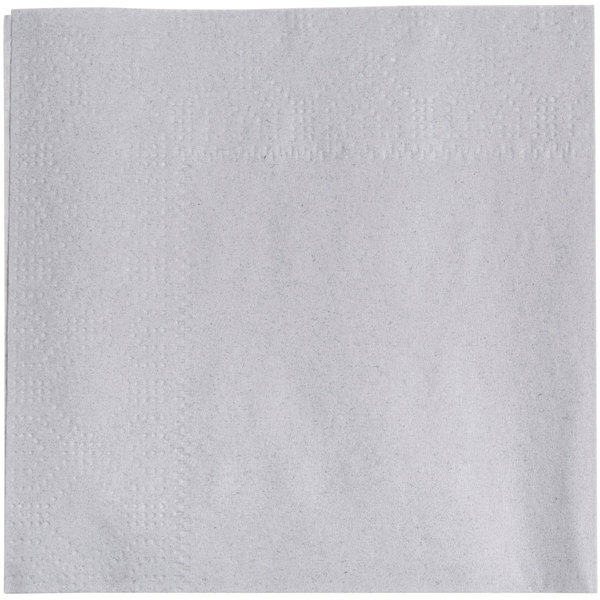 These Hoffmaster 180318 dove-gray colored beverage napkins are 2-ply and are ideal for any organization that wants napkins of the perfect color to match their decor. Love the color and was happy to find it in big quantities and at such a great price. Will be using these from now on at the bar. Excellent product! It work extremely well and blended in just fine with the color scheme and decor of the event. Ivory, muted gold, and teal is the boom! We love these color napkins! 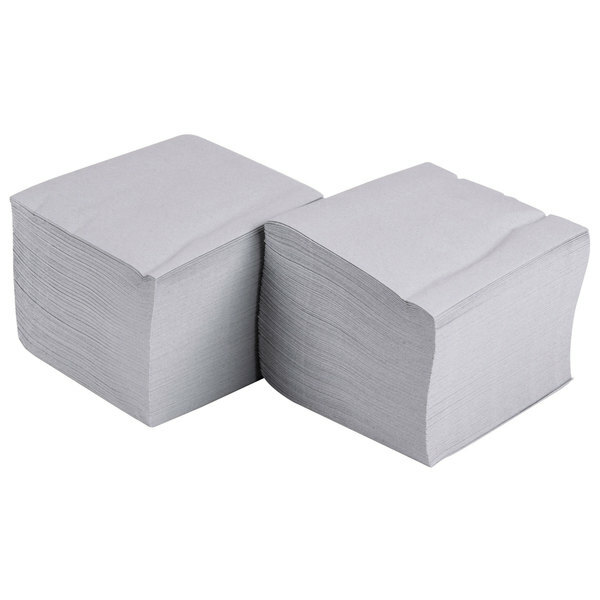 They make everything more fun and friendly than to have plain old white napkins. Being creative with small things brings customers back! We ordered these in green for a sampling event, they were just the right size for hor d'eurves with the genpak 6" laminated foam plates. These are great napkins! I like them because they deffinetly brighten up the bar area. It makes it seem not so glim. Also good for finger foods at a banquet! These napkins were perfect. The black were actually black (other companies we ordered they looked like they were purple!) and they fit into the black plastic bar caddy we ordered from webstaurantstore perfectly. Very good quality beverage napkin. They are cheap enough that you can always have a variety of colors on hand for any event! We use them alot at weddings for the cake table. The black beverage napkins added a great affect to the table service for this event. Quality weight and sharp consistent color. Will definitely order this product again. I am using these in black for my Black & White theme graduation party, they really tie my theme together. 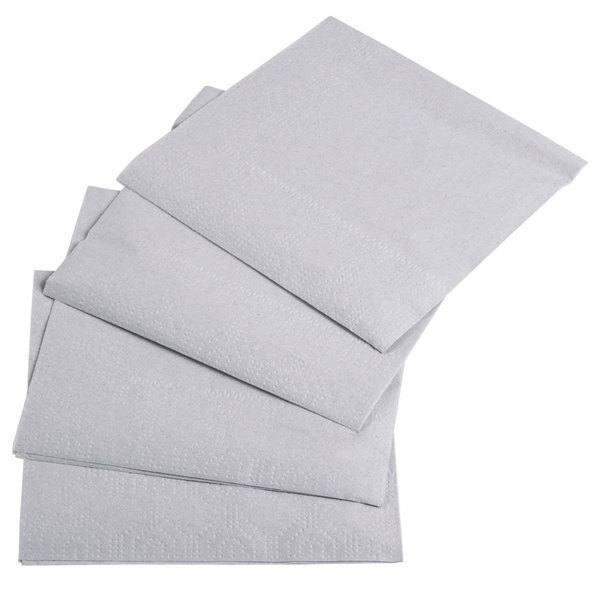 These napkins are very strong and feel very linen-like. I love how I can get in several different colors. Great quality in a strong napkin. The color does not bleed, a good addition to the look of the bar and weorth the extra ecpense. Colored Beverage Napkin / Cocktail Napkin (Colored Bev Nap) 1000/CS I bought the dark blue colored napkins for an event and the custome really liked the color. this is a very high quality and good looking napkin. it actually can be used as dinner napkin in a nice restaurant besides beverage napkin. 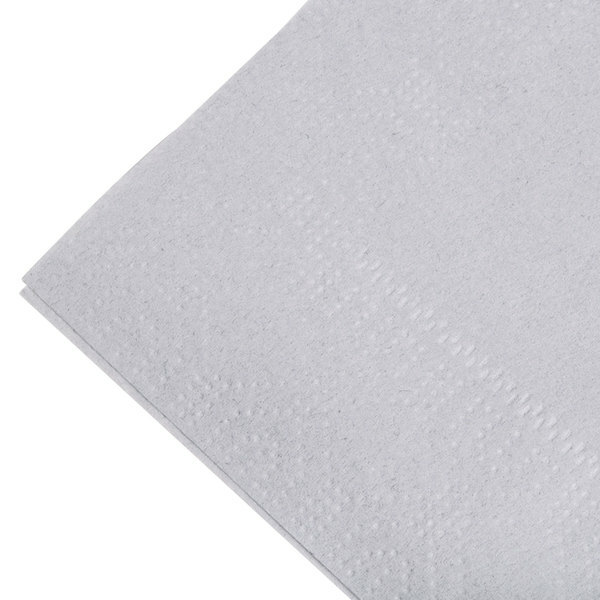 Napkins did not soak through and leave people holding a wet messy napkin. Strong and durable and just the right size for the event. good array of colors to chose from to. Love the rainbow of colors these come in. We ordered several to coordinate with different events. They also come in nice lightweight cardboard holders that prevent damage to the edges. A good quality bar napkin with vibrant colors. Also offers a colorful display when you are serving appetizers. They are a nice size for ease of handling when carrying a plate and glass. Great quality napkins! Huge variety of colors! Excellent for cocktails, beers, and pretty much any type of beverage! A must need for bars! Good price!!! It's really hard to find certain colors in bev naps if you don't have a party store nearby. It's nice to know that I can get them here at a great price! These napkins are CLASSY! We use them in our ice cream shop. 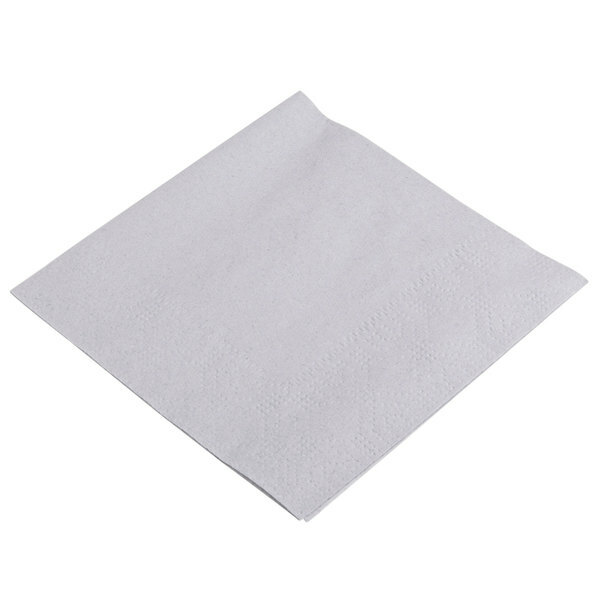 They are just a little more expensive than the traditional restaurant napkins, but in order to convey classiness to our customers, the products must also be classy. I highly recommend! We were very happy with the beverage napkins and used them for the tables as well as the bar. They matched the color scheme we had chosen for our event perfectly. Great! I ordered these for a special Thanksgiving dinner and everyone loved the variety of fall colors. They were the perfect size for appetizers and drinks. We were looking for disposable beverage napkins that were truly chocolate in color and found them here. They arrived neatly packaged in a cardboard wrapper - so no napkins sliding around and ending up folded/unusable like other brands! 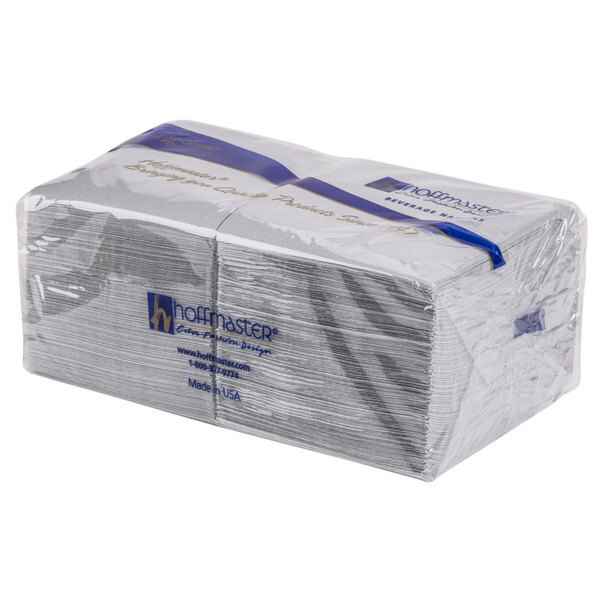 These napkins are Hoffmaster brand and are very high in quality. Very good price on this product, and the customer service is second to none. I order from The WEBstaurant store frequently. I bought these in purple to use at craft shows - very professional looking, and GREAT quality...especially considering how cheap they are! They looked great against my yellow tablecloth. An easy way to brighten up a farmers market. Wonderful napkins with a perfect color - great for putting under beverages and adding something to match your themes by using a solid color. Very affordable too, making it the must-have item. 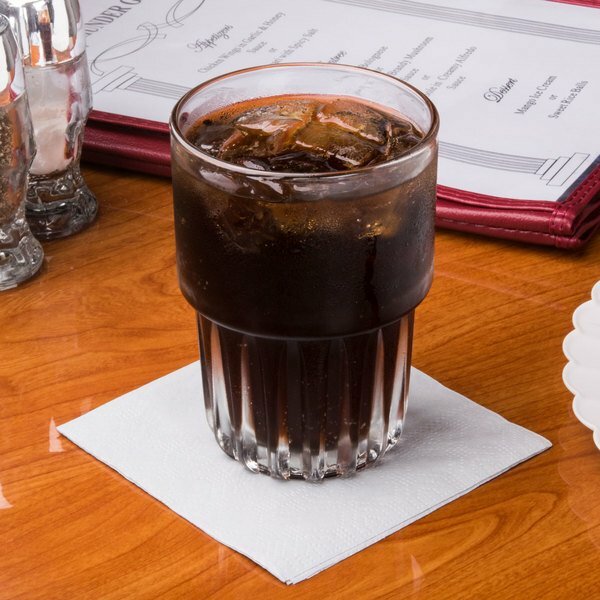 Chocolate beverage napkins - This is a very good product and it is the best price anywhere! I would purchase this product again. Great variety of colors. Good napkins. I used these for a black tie affair and I was a little concerned that the color might stain the guests hands as I have seen that happen before. These did not and are the only ones I will buy in the future. I found these napkins to be of a very high quality. The price is also the best you will find anywhere- and I know because I have looked! I love the packing again on these napkins also. Clean look and very classy. No wrinkled upon delivery. Will purchase again in other colors in the near future. I just ordered these napkins in three colors-orange, lime green, and brown for the fall. The colors are rich and I am well pleased with the napkins.